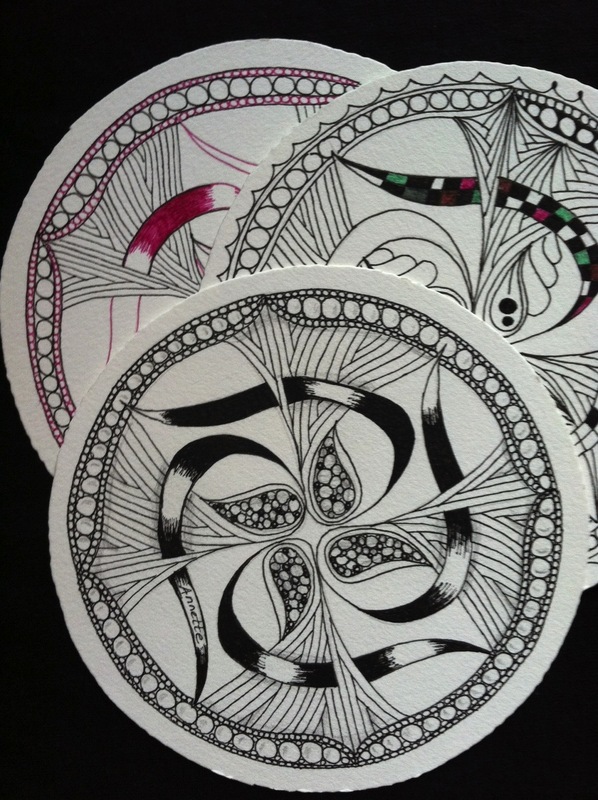 The ARTbar Studio/ARTstarters - Zentangle-a-Zendala! * Note this class will introduce the Zentangle process on the round tiles, called Zendalas. If this is your 1st time learning Zentangle, we suggest you sign up for the Intro to Zentangle class that starts an hour earlier at 9am. The Intro class will overlap with this one at 10am - Noon to continue learning more patterns with the "regulars who come every month."